Looking for a last minute gift idea for someone who's maybe hard to please? How about a gift of unlimited possibilities: StandOut Stickers Gift Cards! StandOut Stickers Custom Stickers can be designed by anyone on any device. We offer gloss and smooth matte finish and print custom stickers in any size and shape. 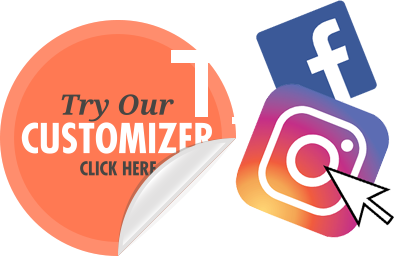 When you use our easy customizer tool to design any size of standard shape sticker, you get a FREE instant digital proof before ordering! Gift Cards are available from $5 and can be used when you order custom stickers. Gift Cards are currently issued as digital gift cards only and will be emailed to the desired recipient immediately upon purchase. See our Gift Card FAQ for more details about StandOut Stickers Gift Certificates / Online Gift Cards.